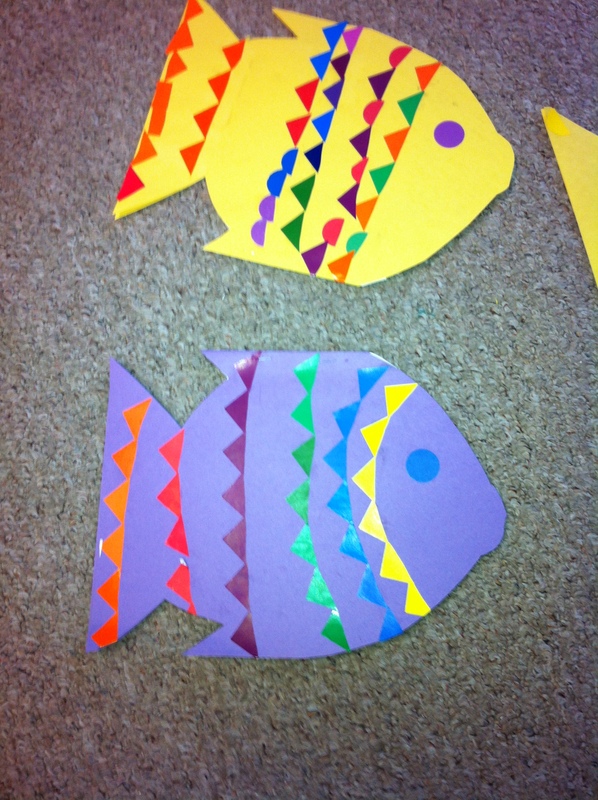 Fun with Fish! | Mrs. Anton's Class! 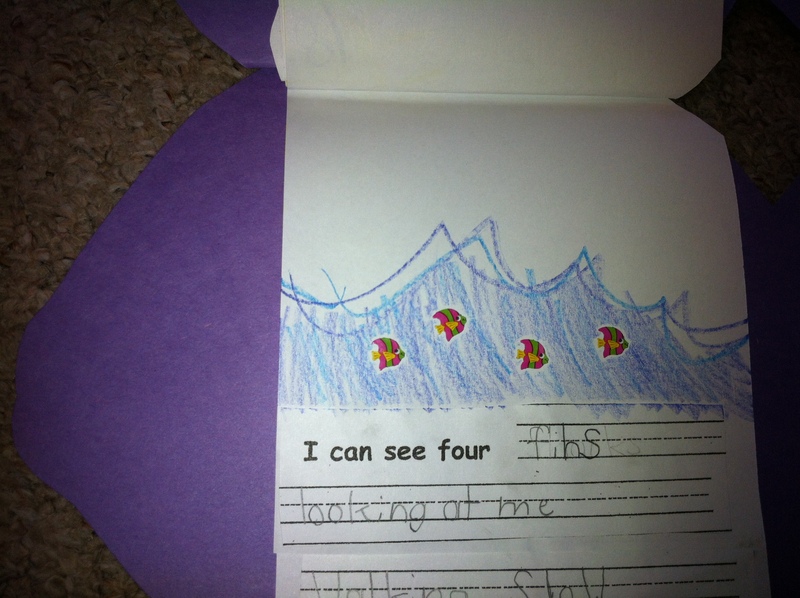 We have started our unit about the ocean. Yesterday, we made ocean count-up books! I found some really neat stickers to use as a jumping off point. 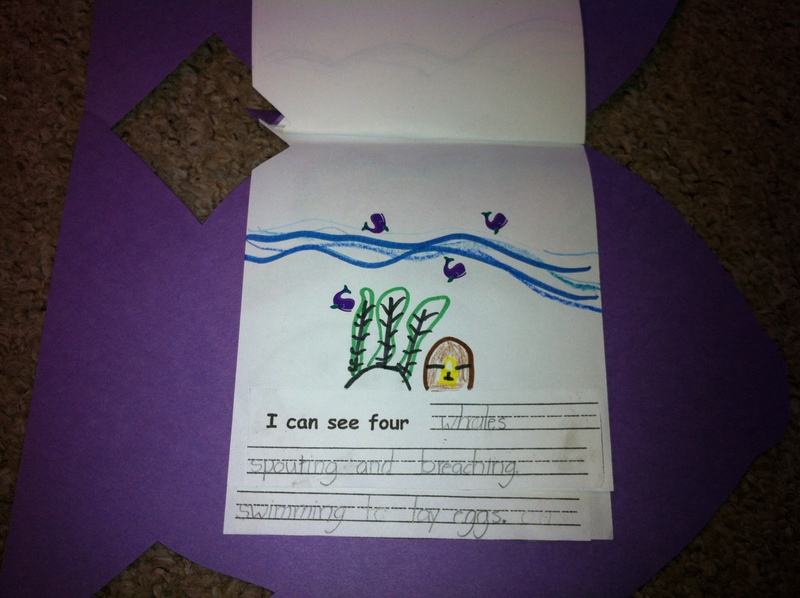 The children had to create a count-up book using words that described the action of the ocean creatures! They did a great job! We had treasure chest, coral reefs, big and little waves, and some wonderful describing words! I found a cute little ipad book app called Over in the Ocean in a Coral Reef by Marianne Berkes and illustrated by Jeanette Canyon to introduce our new unit! We decided to listen to the song version. 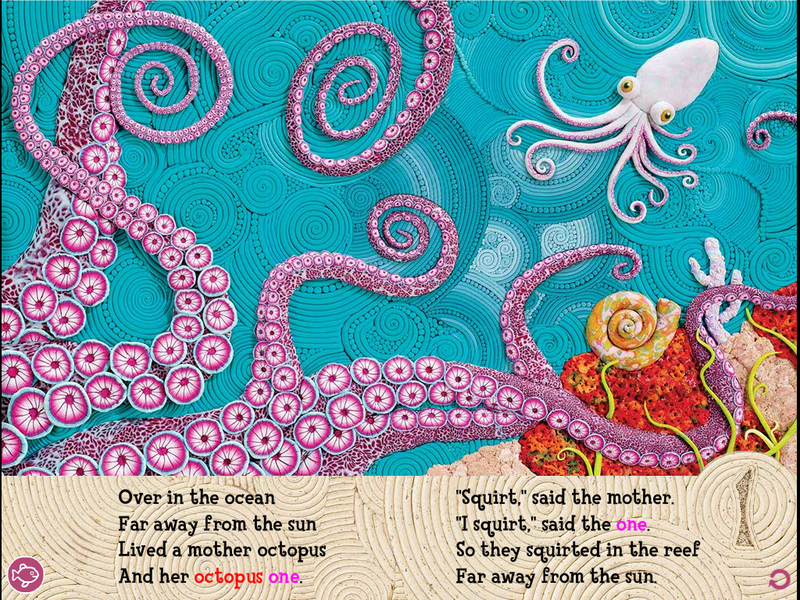 It also has a non-fiction section with facts about each of the ocean creatures in the story. Beautiful illustrations made with clay! The words are highlighted as they are read and there are some fun animations. The class really enjoyed finding all the ocean creature babies! 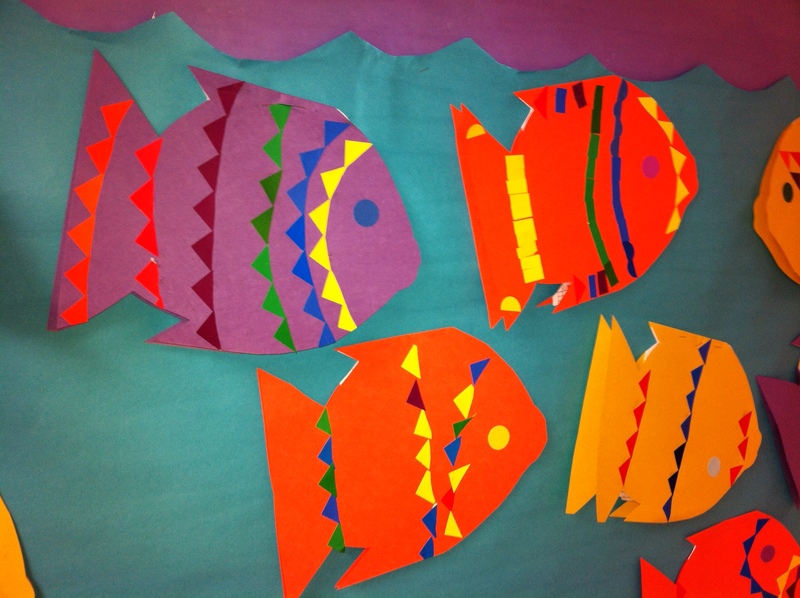 The children did a great job creating designs for the covers of their fishy books! 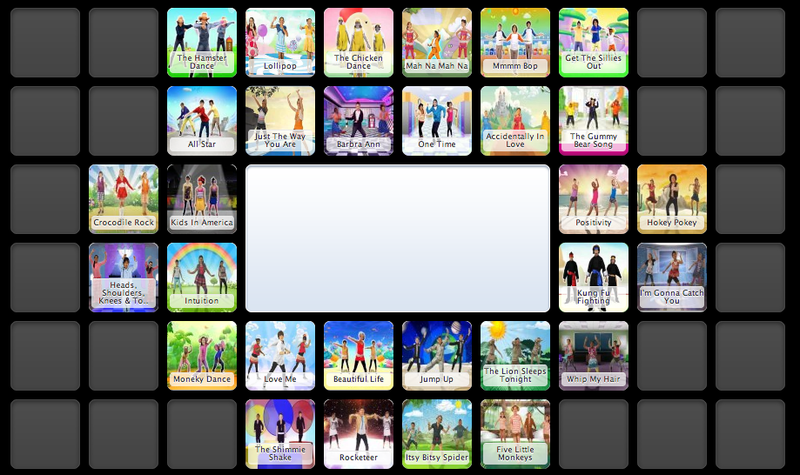 I have added the Just Dance Video Mix videos to our WIKI page! I found the mix on the MattbGomez site and it was compiled by Michelle Heibert. The mix is awesome and we use it all the time! I will add few others to the page soon! Hopefully, you will enjoy them as much as we do! Just go to our class WIKI page at the top of this blog and click on the link that says Dance Mix! I can’t decide which dance I like the best…. Which one is your favourite? 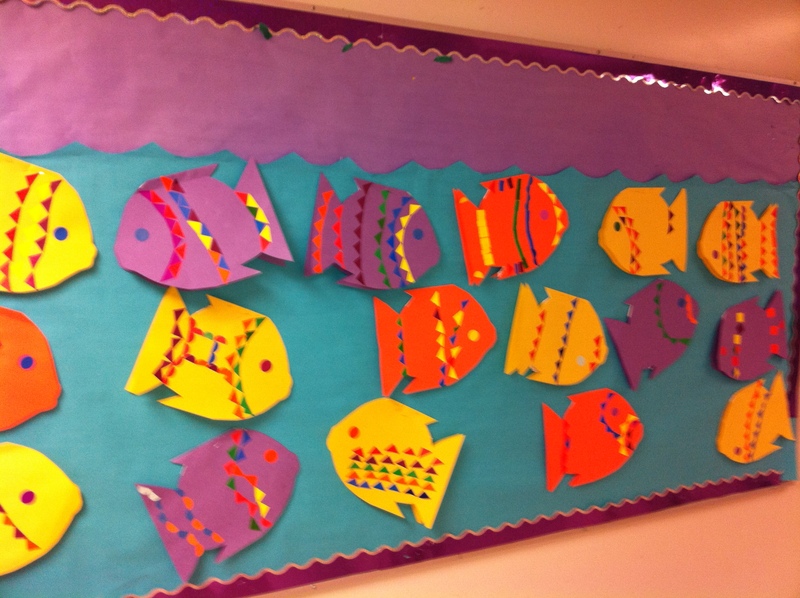 I love your fishy bulletin board!